Ever since his rise to prominence as a bestselling author in the '70s with his classic novel Carrie, Stephen King's works have made the leap to film or television well over 100 times, making him the all-time "king" of adaptations by a living author. With so many different movies and shows inspired by his work (and more on the way), it'd be near impossible to rank them all—especially since so many (like Firestarter or 2017's The Dark Tower) simply fall in the realm of unremarkable mediocrity. Instead, we've put together a list (in no particular order) of the ten best and ten worst Stephen King movies so you'll know which ones are worth your time—and which you should avoid at all costs. For over 40 years, Brian De Palma's 1976 adaptation of Carrie has remained a classic. 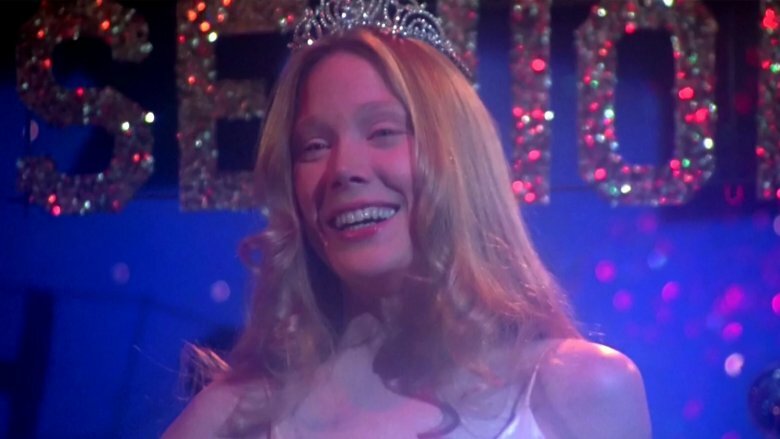 Released just two years after the book's publication, Carrie was the first adaptation of a Stephen King work, and it's still arguably the best. Featuring the excellent Sissy Spacek in the title role, this supernatural tale sets the hook of suspense and reels in the viewer without remorse. Spacek is at turns ethereal and terrifying as Carrie, and Piper Laurie delivers a commanding performance as her oppressive mother Margaret. Even though it's a little dated today, Carrie still holds up as a must-watch Stephen King movie. Unlike many King adaptations, Stand By Me is more coming-of-age drama than horror. Based on King's semi-autobiographical short story The Body, it follows four adolescent boys in a small Oregon town who embark on a journey to find the corpse of a missing boy. As star Wil Wheaton (Gordie) later recalled, director Rob Reiner "found four young boys who basically were the characters we played." Wheaton and his co-stars River Phoenix, Jerry O'Connell, and Corey Feldman became extremely close during production, lending to the authenticity of the characters' friendship. 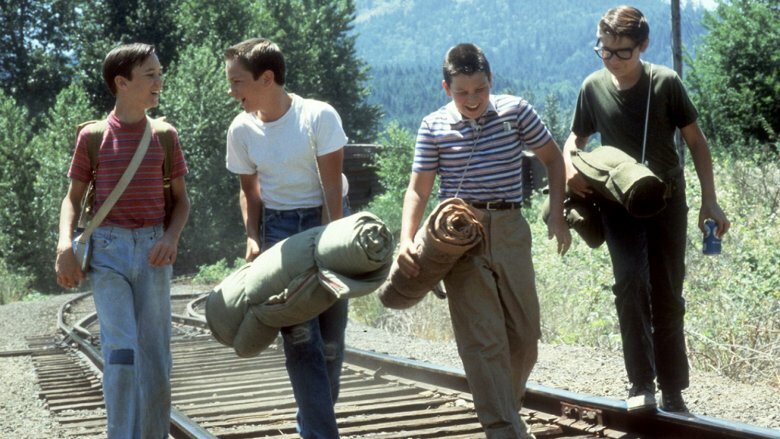 Stand By Me remains a classic today, worthy of any movie fan's collection—even those who don't like horror films. Like Stand By Me, David Cronenberg's 1983 adaptation of Stephen King's The Dead Zone remains a more accessible movie than King's more horrific works—and more importantly, it's a masterpiece of thrilling and suspenseful storytelling that strings viewers along before the final climatic scene. The story focuses on Johnny Smith (Christopher Walken), who wakes up from a coma to discover he has unexplained psychic powers, and finds himself on a collision course with destiny during a pivotal election. 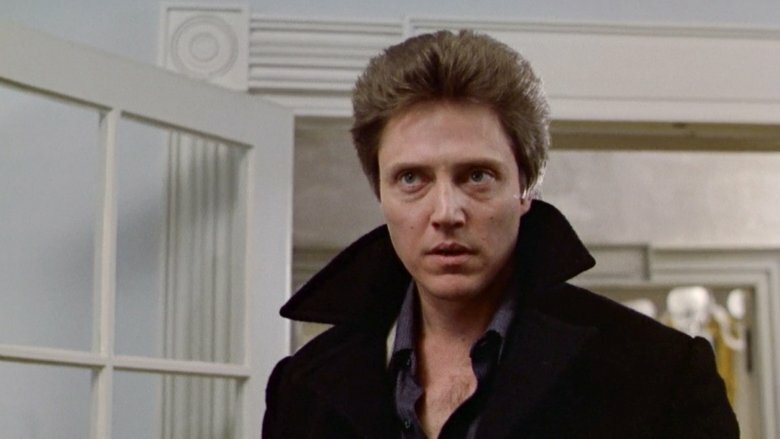 Film critic Roger Ebert summed Walken's performance up nicely: "[he] does such a good job of portraying Johnny Smith, the man with the strange gift, that we forget this is science fiction or fantasy…and just accept it as this guy's story." Although it registered very little impact in theaters upon its release, director Frank Darabont's 1994 prison drama The Shawshank Redemption has gone on to become one of the best-loved films of the last 30 years—an explosion in popularity due, in part, to near-daily airings on the TNT network in the years after its release. The movie tells the story of two prisoners serving life sentences at the Shawshank State Penitentiary, who become dear friends despite their difficult circumstances. 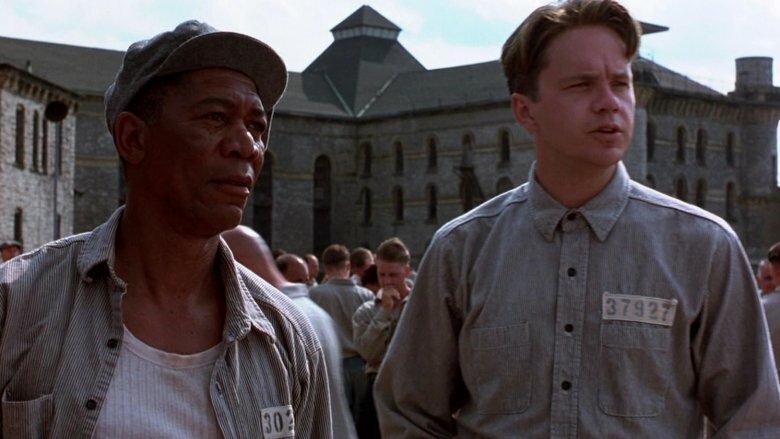 Starring Tim Robbins and Morgan Freeman in the lead roles, The Shawshank Redemption is a gritty and uplifting tale told simply and poignantly—one that showcases the tender, hopeful heart that beats under King's best work. 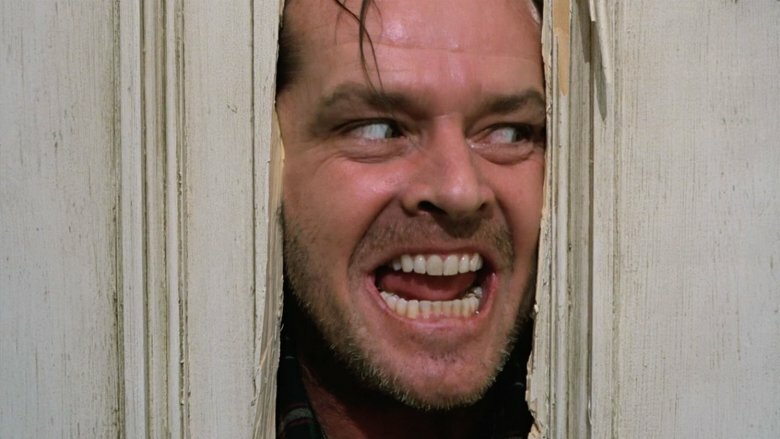 "All work and no play" might make Jack a dull boy, but The Shining most certainly isn't dull. 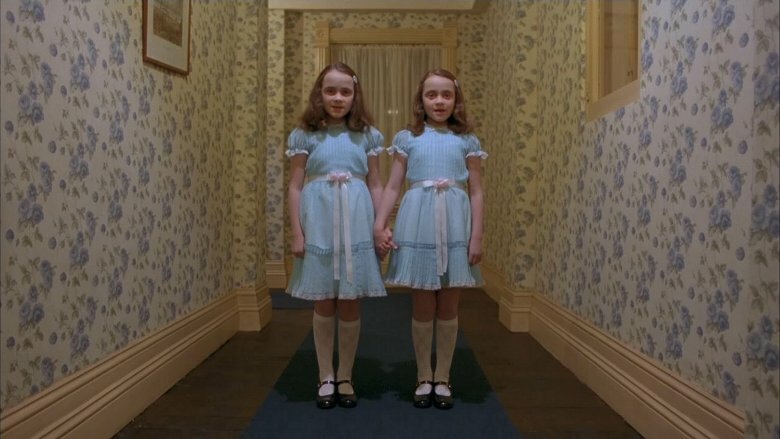 Stanley Kubrick's 1980 version of The Shining still stands as one of the most famous King adaptations, bringing to life writer Jack Torrance (Jack Nicholson), his wife Wendy (Shelley Duvall), and their young son (Danny Lloyd) as they travel to Colorado to become the winter caretakers of the opulent—and haunted—Overlook Hotel. Danny's psychic abilities allow him to see the terrifying past of the Overlook, and his troubled father's inner demons are exploited by the spirits still haunting the hotel. The tale deviates significantly from the source material, in both characterization and storyline; nevertheless, The Shining continues to be a favorite among horror lovers. A psychological thriller directed by Rob Reiner (who also directed Stand By Me) about fan obsession gone horribly wrong, 1990's Misery was a critical and commercial success that launched Kathy Bates' career—and for good reason. The plot follows romance author Paul Sheldon (James Caan). He wakes following a car accident to find himself in the care of nurse Annie Wilkes (Bates), who happens to be his "number one fan." When Wilkes learns that Sheldon has killed off her favorite character in his latest novel, things start to get grim; for a generation of filmgoers, the word "hobbling" will never be heard without a wince of pain. Annie's arc may have been ugly, but it was anything but for Bates; she became a star almost overnight, and won both an Oscar and a Golden Globe for her commanding performance. 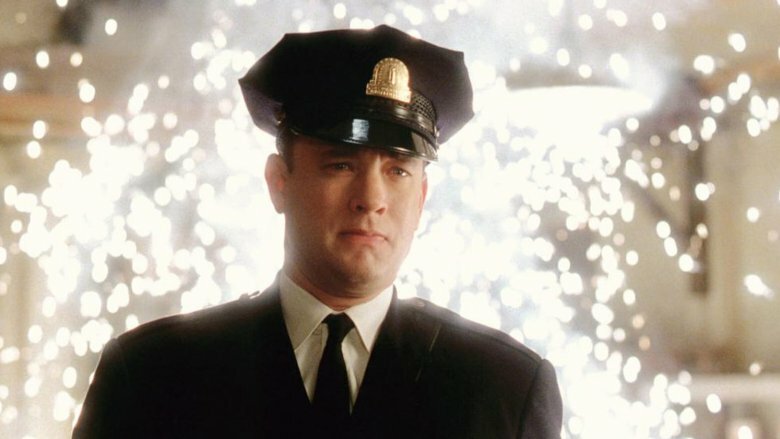 Director Frank Darabont returned to the King oeuvre for another prison drama with 1999's The Green Mile, starring Tom Hanks, David Morse, and Michael Clarke Duncan. This flashback film is told from the perspective of Paul Edgecomb (Hanks), who recounts supernatural events he experienced as a corrections officer after a very special prisoner (Duncan) arrived on death row at the Cold Mountain Penitentiary. It's a soulful and thoughtful movie which will leave most viewers profoundly affected after the credits roll—although it does overstay its welcome a bit, clocking in at just over 3 hours. Unlike his first King adaptation The Shawshank Redemption, Darabont scored an instant hit with The Green Mile. The film (along with 1998's Armageddon) also served to help make a star out of Duncan, who would go on to appear in dozens of other films and television shows before his untimely death in 2012. Kathy Bates returned to the world of Stephen King when she appeared in the 1995 psychological thriller Dolores Claiborne, based on the novel of the same name and directed by Taylor Hackford (La Bamba, Ray). The film follows the tale of domestic servant Dolores Claiborne (Bates), who's accused of murdering her elderly employer Vera (Judy Parfitt). Much of the town (and even her own daughter) has a hard time believing Claiborne's explanation for Vera's death. It's a harrowing and suspenseful tale that will keep audiences guessing until the end. 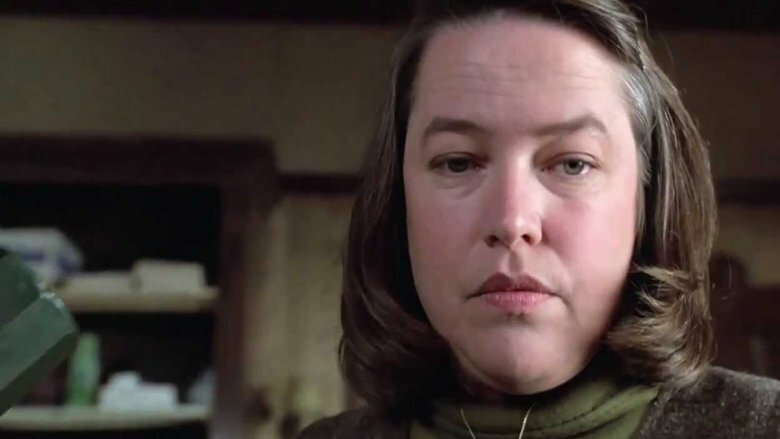 Unlike her appearance in Misery as a clear antagonist, Bates' part in Dolores Claiborne is much more conflicted; the supporting characters and audience alike are left in the dark about her true motivations until the final act. 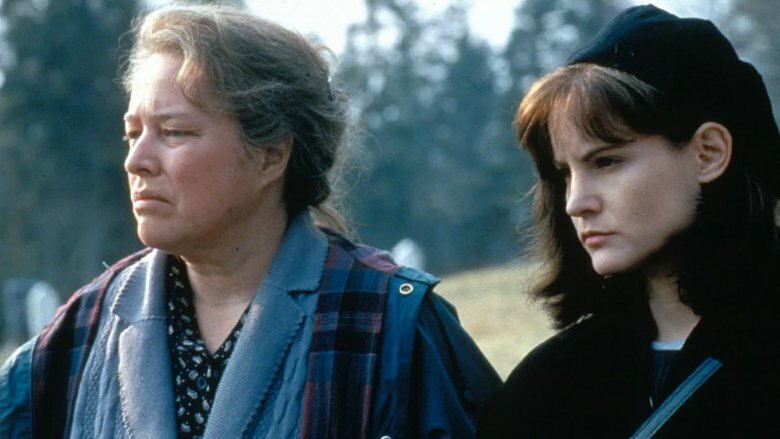 Even though it was Misery that won her the Oscar, her part in Dolores Claiborne remains Bates' favorite. 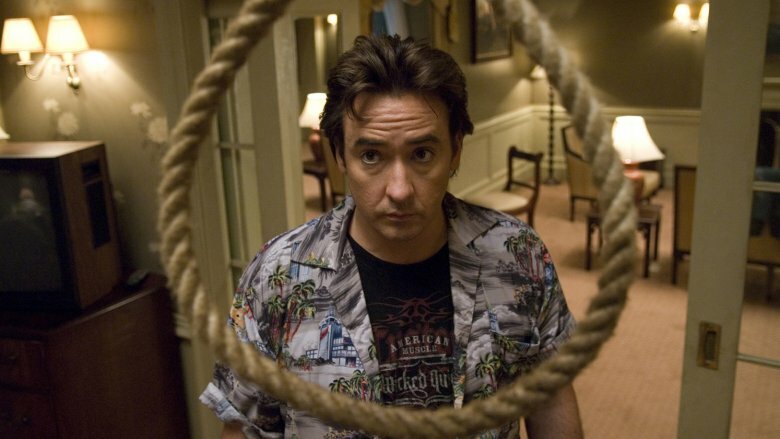 In the 2007 psychological horror film 1408, John Cusack returns to what he does best: playing a cynic with love problems. Starring as Mike Enslin, a skeptical author who decides to check into a notoriously haunted hotel room in order to investigate it, he's joined by Samuel L. Jackson as hotel manager Gerald Olin. What follows is a tense and terrifying descent into Enslin's psyche, and although it's definitely not The Shining, as far as haunted-hotel films go, 1408 is still a satisfying and scary effort—and it manages to generate sufficient thrills without relying on bucketfuls of gore. Unlike the lukewarm reception earned by 2017's other Stephen King adaptation—The Dark Tower—the feature film debut of IT smashed all sorts of records on its opening weekend. 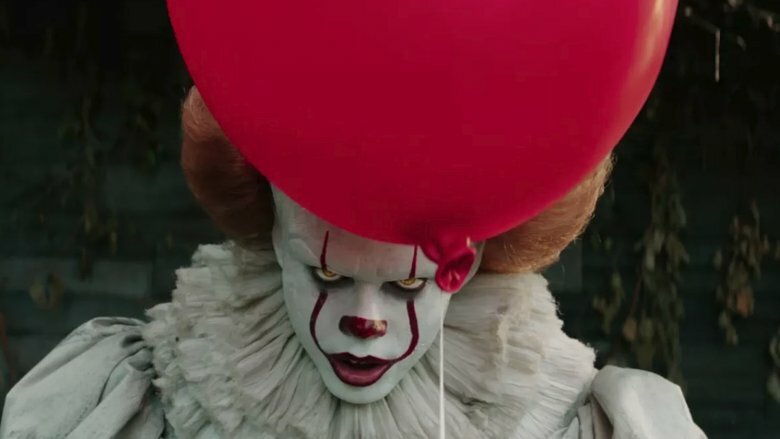 With an estimated $117 million earned at the box office in its first three days, IT became the biggest opening ever for a horror film and the biggest September opening for any film of all time. All of this cash rolling in comes from not just eager King fans or horror buffs, but from all stripes of cinema-goers—no doubt eager to watch the film after hearing the glowing reviews written by professional movie critics and audience members alike. At turns funny, intense, and terrifying, IT definitely shows up the 1990 television adaptation of the book in nearly every way. Bill Skarsgård is positively horrifying and menacing as Pennywise, although Tim Curry fans may find themselves missing the lack of funny one-liners that Curry's version of Pennywise delivered in the miniseries. Nevertheless, there's no question that 2017's IT will go down as one of the best King adaptations of all time, with plenty of scares to go around. 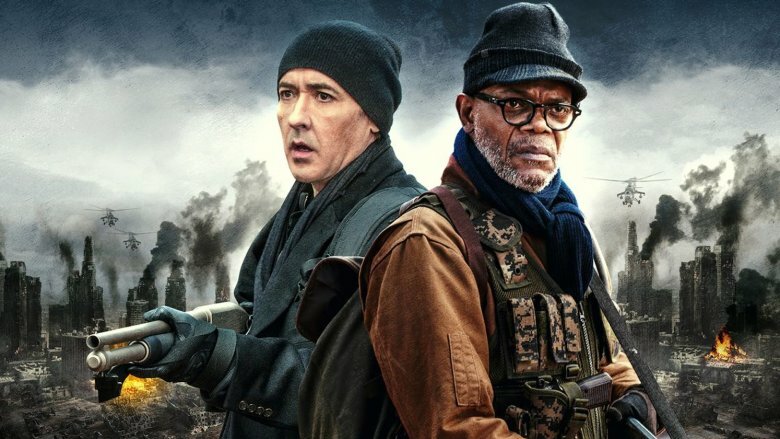 Nine years after appearing together in 1408, John Cusack and Samuel L. Jackson reunited for 2016's Cell. Unfortunately, this time their efforts were nowhere near as successful. The plot centers on Clay Riddell (Cusack), who's determined to reunite with his son after a malevolent electronic signal turns cell phone users into mindless killers. Along the way, he teams up with train driver Tom McCourt (Jackson) in order to better their chances of survival. While the novel was generally well-received for it's technophobic take on the traditional zombie trope, the movie suffered a far less positive fate. 1990's Graveyard Shift still stands as one of the worst King adaptations. In a Maine textile mill where a drifter (David Andrews) has taken a job, several overnight employees of the mill have died recently, and the egomaniacal foreman (Stephen Macht) sends the drifter—and others—down into the basement of the mill to investigate. To put it politely, the short story didn't translate well to the screen. It's kind of a shame, really, because the acting in Graveyard Shift isn't bad. The movie even performed fairly well at the box office, eventually earning over $11 million. If you're going to make the plunge and watch, keep an eye out for the performances of both Macht and Brad Dourif. 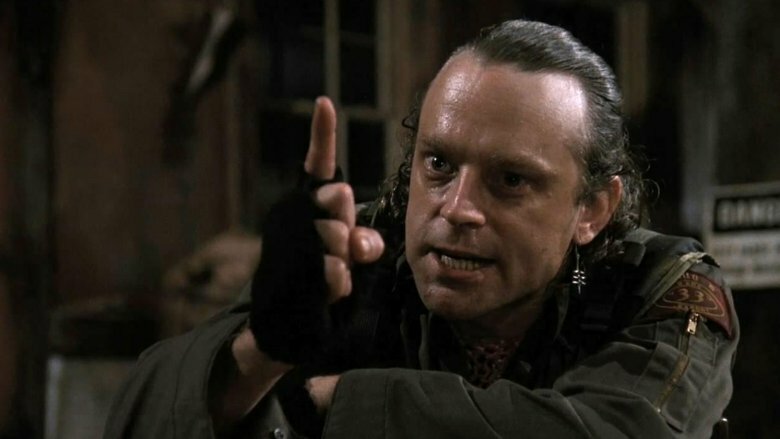 You might know Dourif better as "Wormtongue" from The Lord of the Rings, but he does an excellent turn here as a crazy exterminator. 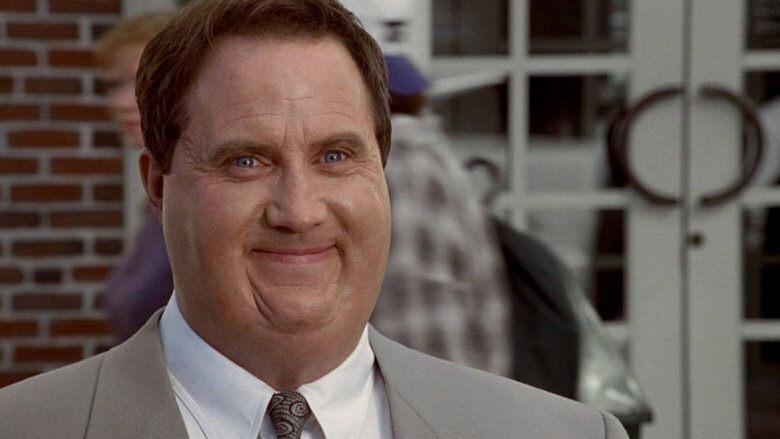 Despite having excellent source material, Tom Holland's 1990 adaptation of Thinner just couldn't pull it off. When obese and morally bankrupt lawyer Billy Halleck (Robert John Burke) accidentally runs over and kills a gypsy woman, he uses his court connections to get off the hook. The woman's elderly father takes revenge by placing a curse upon Halleck, one which soon has him uncontrollably losing weight to the point of emaciation. The premise is definitely scary, but the effect falls flat on the big screen—especially when we're confronted with Burke in an atrociously fake latex fat suit that only gets slightly less hilarious as he sheds the pounds. The filmmakers also chose to make Billy's wife (Lucinda Jenney) an adulterer, leaving the story without any sympathetic—or even likable—characters. 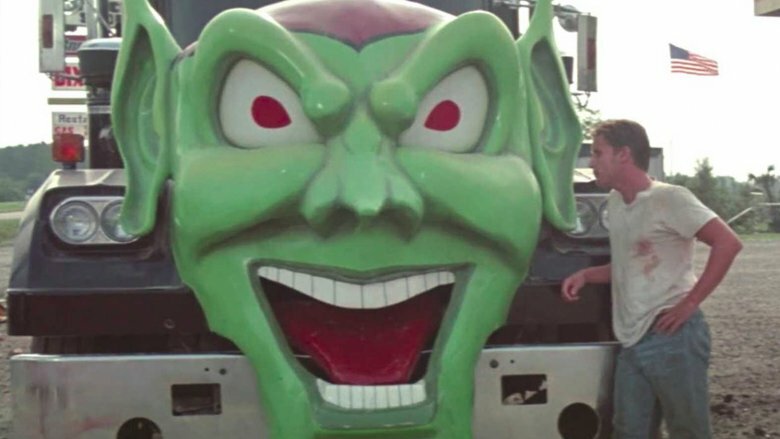 Stephen King's first (and only) directorial effort, 1986's Maximum Overdrive, is largely considered a bomb, but it's still hard not to love. When Earth passes through the tail of a comet, once-inert machines suddenly come to life and go on a murderous rampage against humans. At a truck stop, a bland protagonist played by Emilio Estevez and an odd assortment of other unremarkable characters settle in to wait out the semi trucks that have them pinned down inside. Maximum Overdrive is mostly a stinker of a movie, and it drags too long, especially during the second half. That being said, it has a killer soundtrack from AC/DC, and there are some pretty neat shots peppered throughout, proving that King wasn't completely hopeless as a director. If you have an irrational fear of electric carving knives or drawbridges, you probably watched Maximum Overdrive as a kid. To get Maximum enjoyment, watch the first 30 minutes or so, then turn it off and listen to the Who Made Who album at top volume. Try to sit through the 1993 adaptation of Needful Things, and you might be ready to sell your soul to the Devil before the end. 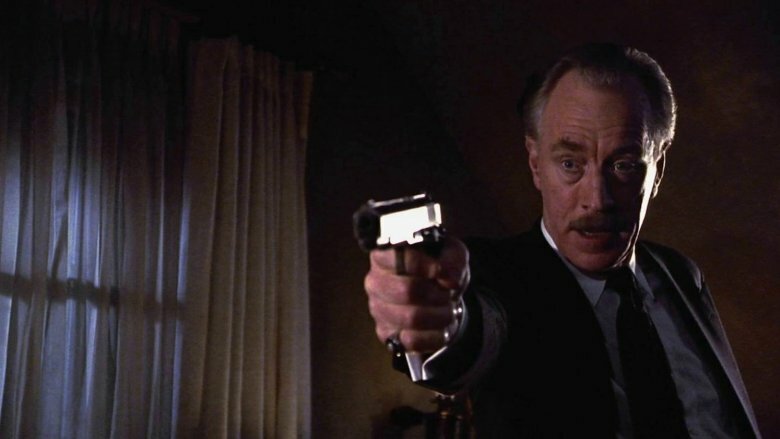 In King's often-featured fictional town of Castle Rock, Maine, Leland Gaunt (Max Von Sydow) opens an antiques store called "Needful Things." Many of the town's residents soon find their heart's desire fulfilled by the store's items—some of which have a distinctly supernatural bent. Gaunt's prices are nearly too good to be true: a shockingly low amount of cash, plus a "favor" to be repaid later. Gaunt's favors usually involve "pranking" someone else in the town, and these mean-spirited tricks cause old dislikes and minor disagreements to flare up into feuds worth killing over. Despite a running time of 120 minutes, Needful Things gives us only a cursory look at many of Castle Rock's residents, leaving us with a bloated cast audiences will struggle to keep track of, let alone care about. Instead, it jumps between escalating pranks like a particularly violent episode of Punk'd. The only standout performance comes from Von Sydow, who positively revels in his devilish portrayal of the evil Gaunt. Not long after its theatrical run, TBS aired an extended 3-hour version of Needful Things. Unfortunately, it does little to solve the movie's fatal flaw: nonexistent character development. 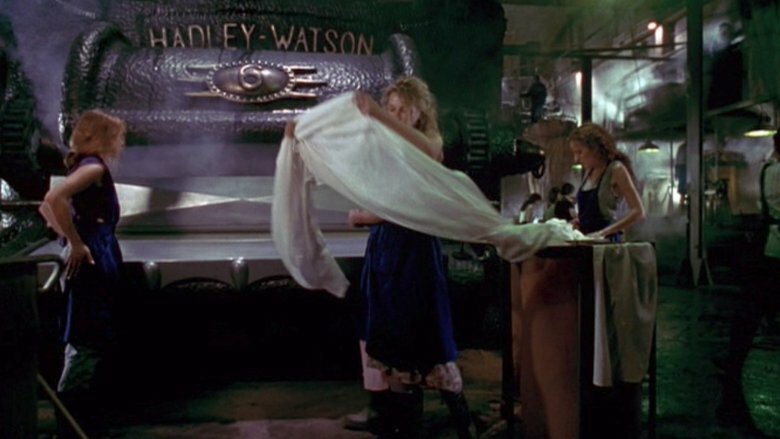 It's hard to say what's more inexplicable: that Tobe Hooper's 1994 adaptation of King's short story The Mangler managed to score better on Rotten Tomatoes than Maximum Overdrive, or that it spawned two sequels. The movie stars the once-formidable Robert Englund (Nightmare on Elm Street) as sinister laundry-service owner Bill Gartley, and Ted Levine (Silence of the Lambs) as the police officer who investigates a series of mysterious deaths at Gartley's business. He soon finds (with the help of his demonologist brother-in-law) that a laundry press is to blame—a laundry press possessed by a demon and activated by the presence of blood and over-the-counter antacids. Yes, really. The original short story was threadbare to begin with, but tongue-in-cheek and appropriate for the magazine that published it. Hooper, however, ignored the opportunity to make a campy movie that pokes fun at itself; instead, we're left with schlocky gore that goes on way too long and takes itself much too seriously for a movie about a laundry machine that eats people. When King published his 2000 novella Riding the Bullet, it was generally well-received by critics and made history as the first mass-distributed e-book. The movie follows the journey of Alan Parker (Jonathan Jackson), a neurotic and depressed college student whose obsession with worst-case scenarios nearly drives him to suicide. 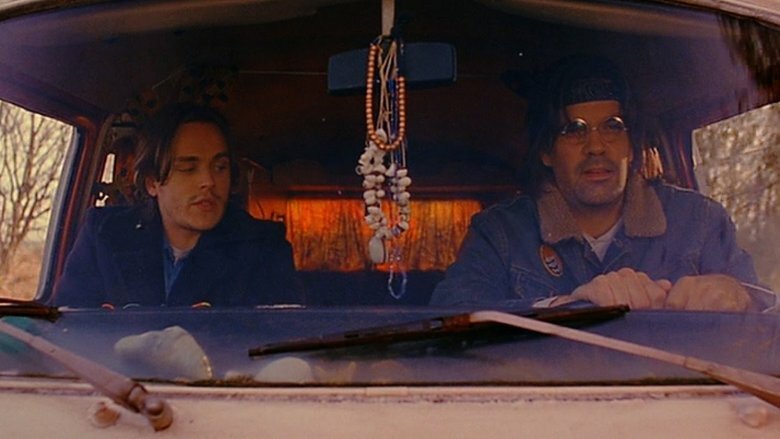 After receiving news that his mother has had a stroke, Parker decides to hitchhike, catching a ride with the mysterious George Staub (David Arquette). Filmmaker Mick Garris has adopted Stephen King's tales for television or film on several occasions, but his 2004 take on Riding the Bullet is mediocre at best. Skip this one, or you'll find yourself—like Parker—begging to be let off of a ponderous and boring ride. King's 2001 novel Dreamcatcher was admittedly not one of the author's favorites. It was written in 1999, when he was "using a lot of Oxycontin" while convalescing after being hit by a car. Perhaps it shouldn't be too surprising, then, that Lawrence Kasdan's 2003 film adaptation of the book is among the worst. The movie follows four lifelong friends—who have psychic powers—on a winter hunting trip to upstate Maine. They soon find themselves caught between invading aliens and the U.S. military forces trying to contain them. 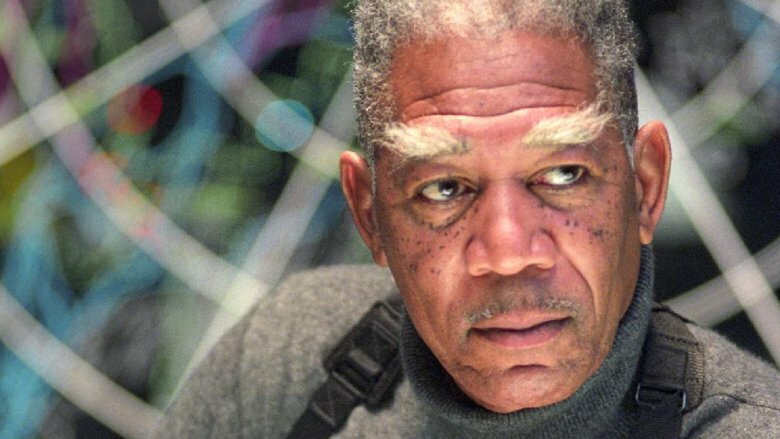 Thomas Jane, Damian Lewis, Timothy Olyphant, and Jason Lee do fine work as the friends, but Morgan Freeman falls flat as an overzealous commander with ridiculously distracting eyebrows. Kasdan gave us an overly long, free-associating mess of a movie—one that could have done much better if he'd just picked a tone and stuck with it. If you're a fan of this short story from King's 1978 collection Night Shift, don't be fooled by Brett Leonard's 1992 film The Lawnmower Man—it's an adaptation in name only. 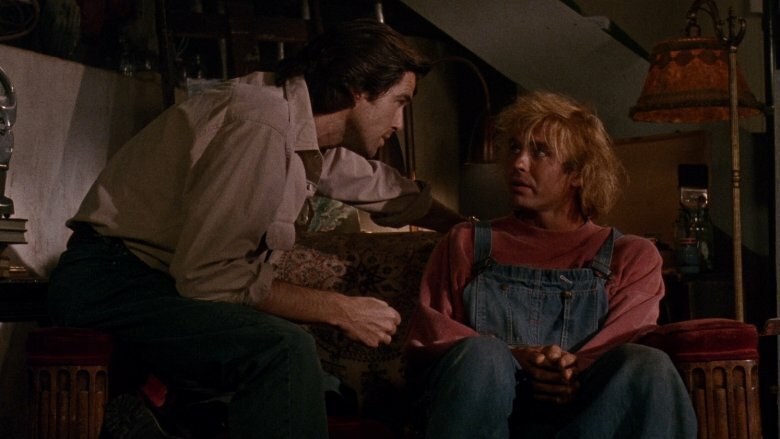 Other than the title (which was originally Stephen King's The Lawnmower Man) and a single scene, the movie bears little resemblance to the source material. King even ended up suing New Line Cinema over the film, forcing them to remove his name from the title. Instead of a nutty little tale about a lawn mowing service gone horribly wrong, the film steals from Flowers for Algernon and Frankenstein for its mishmash plot, which centers on a doctor (Pierce Brosnan) who chooses a mentally impaired greenskeeper (Jeff Fahey) to be the subject of his experiments in intelligence-boosting via virtual reality and a drug cocktail. Follow King's lead on this one, and give the hackneyed story of The Lawnmower Man a hard pass. 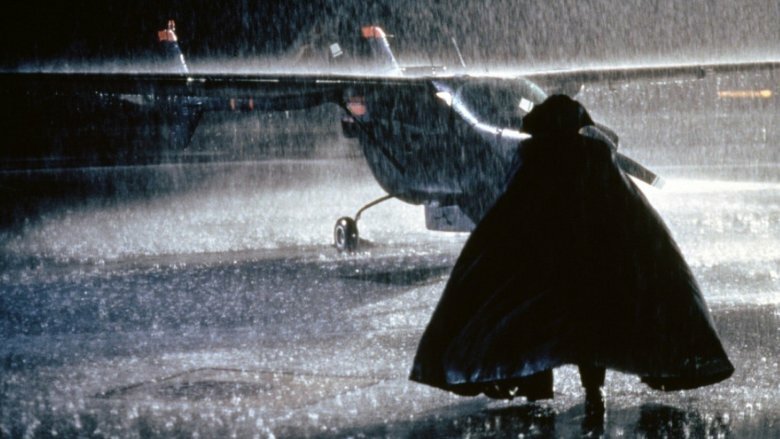 The Night Flier stays fairly true to King's original short story, but that doesn't mean that this 1997 adaptation is a good movie. Miguel Ferrer plays tabloid reporter Richard Dees, who attempts to hunt down a serial killer using a small aircraft to travel from town to town—leaving a grisly trail of victims in his wake. Dees soon finds that this is no ordinary criminal, and must also deal with an eager-beaver competitor from his tabloid (Julie Entwisle) who's trying her hardest to steal his scoop. While the short story's version of Dees was an unlikeable cynic who finds his worldview shaken by what he finds, the movie's script (and Ferrer's flat performance) makes Dees a complete jerk with no redeeming qualities. If you decide to watch The Night Flier, you'll no doubt find yourself rooting for the vampire to win.